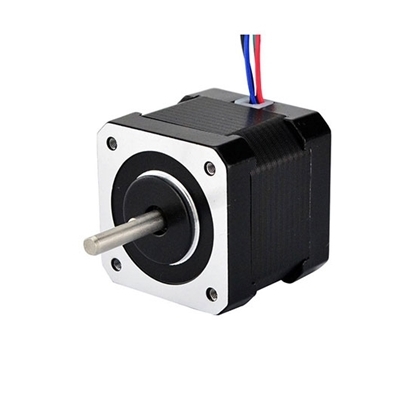 2 phase Nema 17 Stepper motor, 4V 1.2A, 6 wires, with 1.8 degree step angle, can produce a maximum torque of 3.17 kg-cm. Tips: Which types of stepper motor is divided into? Stepper motor is divided into three types: permanent magnet stepper motor (PM), variable reluctance stepper motor (VR) and hybrid stepper motor (HB). PM stepper motor is generally 2-phase, with small torque and volume, its stepping angle is generally 7.5° or 15°. VR stepper motor is generally 3-phase; high torque output can be realized; the stepping angle is generally 1.5, but the noise and vibration is large. The rotor magnetic circuit of VR stepper motor is made of soft magnetic materials. There is multi-phase exciting winding on the rotor. 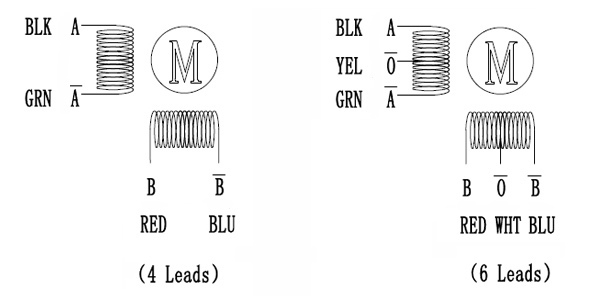 The torque is generated by taking advantage of the change in magnetic conductance. HB stepper motor, indicating mixing the advantages of PM and VR, is divided into 2-phase, 3-phase and 5-phase. The stepping angle of 2-phase is generally 1.8°, that of 3-phase 1.2° and that of 5-phase is 0.72°. It is mostly widely applied. 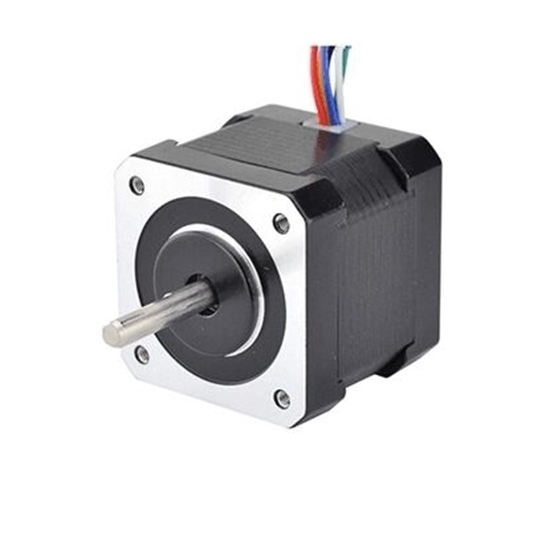 Excellent Nema 17 stepper motor at a best price, using it with a ATO digital stepper driver https://www.ato.com/2-phase-digital-stepper-driver-for-nema-11-14-17-stepper-motor. So far they've done the job just fine.